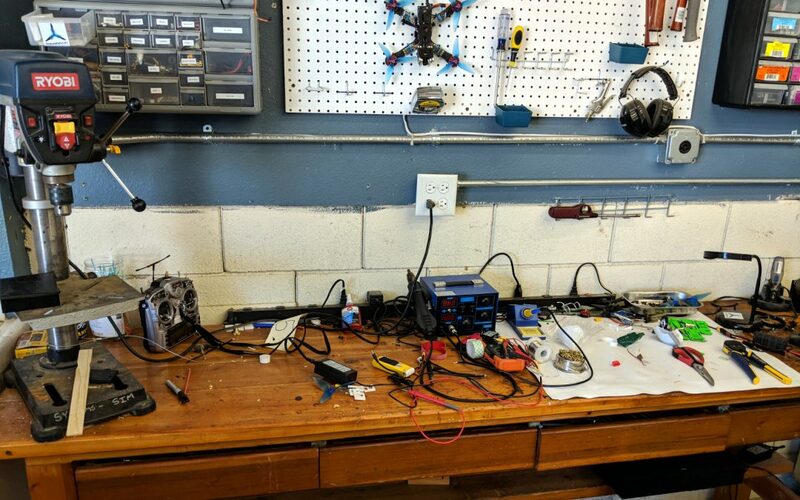 If you fly drones long enough, you probably will find you spend more time working on your quad than flying it. Between building, crash repairs, and modding, you need a place to efficiently work on your gear. 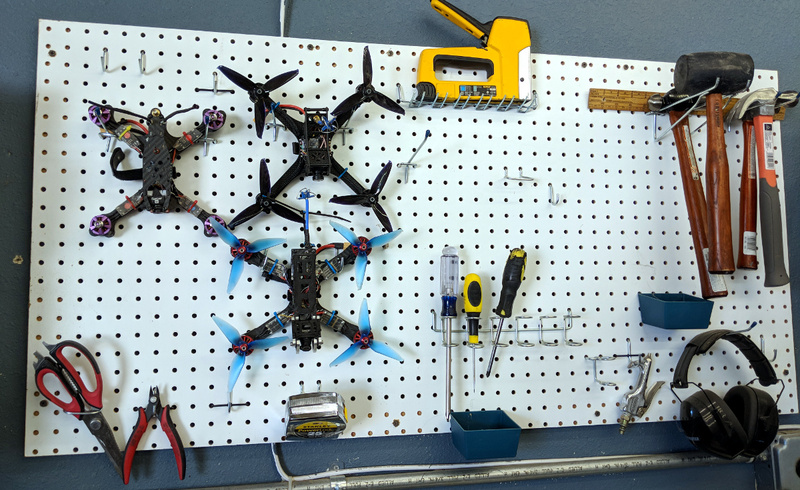 For most people, this means creating a drone workbench to hold all their equipment. From a soldering iron to a variety of hand tools, having all your equipment in one work space makes the repair process more enjoyable. Whether you have a big hobby room or a small folding table, here are some ways you can improve your workbench. Want to be more productive? 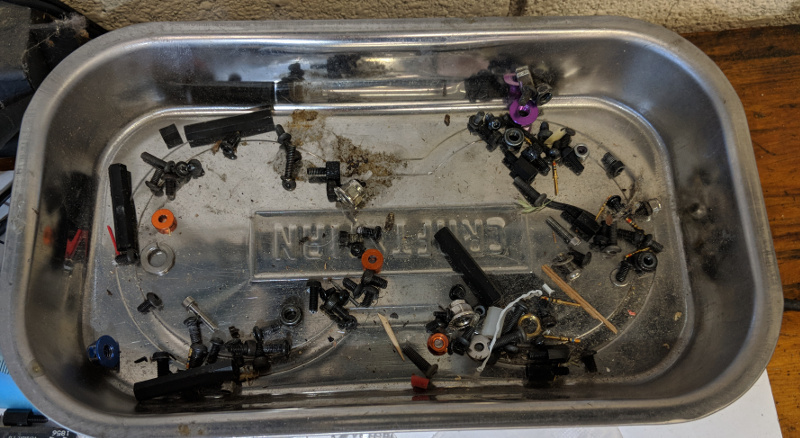 While repairing and building your quad may be just as fun as flying, searching for bolts, standoffs, and other components across a messy desk can be aggravating. You can greatly improve your workflow by organizing your workbench. Labeling the drawers makes getting parts a breeze! The single best way to organize all your spare parts. From bolts to servo cables to pin headers, you can customize a tray of drawers for any of your small components. 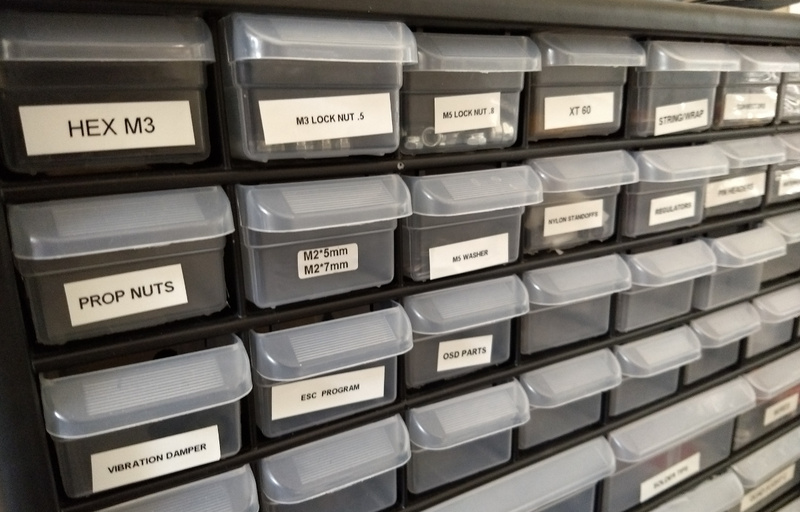 For around $30, you can get a large hardware drawer that will hold basically all the hobby parts you will ever need. You can hang these over your workbench or even place them directly on your workspace. A label maker makes finding what you need easier, but you could always use a dry erase marker to label drawers. Organizing your parts like this can take a considerable amount of time, but it is definitely worth it in the long run. Full of spare nuts, bolts and washers – just the way I like it! Never misplace or have a bolt roll away from you again. Magnetic parts trays are metallic containers that you can dump screws into and trust that they won’t go anywhere. Easy to see stainless steel paired with a magnetic base makes organizing bolts a breeze. This has been a game changer in keeping screws in one place after disassembling gear. Especially when we are talking about tiny screws found within the Taranis or FPV camera mountings. Need a place to organize your tools or quads for easy access? A pegboard with an assortment of pins gives you an insane amount of flexibility in mounting almost anything and clearing up precious desk space. Stew at UAVFutures made the quad wall famous for good reason: it works incredibly well! If you are flying multiple quads, this is a simple way to keep everything organized and ready to grab when its field time. Similarly, it can help prevent mixing up parts between different flying setups. You can get a near limitless supply of different pins. You can even 3D print your own if you were so inclined. If you have the room to hang a pegboard at your workbench, it will pay off in keeping your workspace clear and your tools and equipment within organizable easy reach. A good set of helping hand is pretty much a requirement for a fully kitted out workbench. Helping hands do exactly what you would expect: hold stuff so you don’t have to. 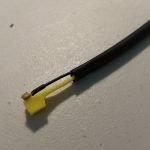 They are incredibly useful for keeping components in place while wiring and soldering. Depending on your workbench setup, you can go with a few options. Cheap helping hands are easy to find, but if you want something more solid, you can build your own helping hands into your desk. Your workbench can take a beating in a very short period. Between cutting, soldering, and gluing, you may not only create a big mess, but cause permanent damage to your work space. 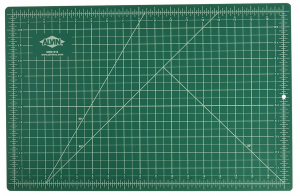 A self-healing cutting mat is amazing for any cutting need and keeps your workbench free of gouges. Great for cutting open ESCs, performing equipment modifications, and having a safe area to work on. 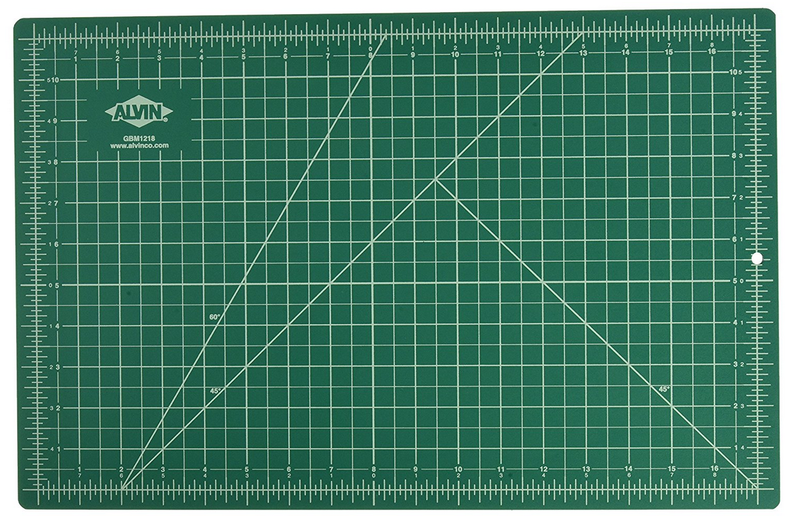 Many cutting mats also come labeled with measurement increments so you don’t have to bring out a ruler or measuring tape when cutting. Build enough quads or make enough repairs and you will get a fine dusting of solder and globs of hot glue all over your work space. The solution is simple – grab a set of cheap spray bottles from Amazon and fill one of them with alcohol. Alcohol is great for removing flux residue from soldering or poorly placed hot glue. Keep a spray bottle on hand with some shop rags to easily clean up messes. 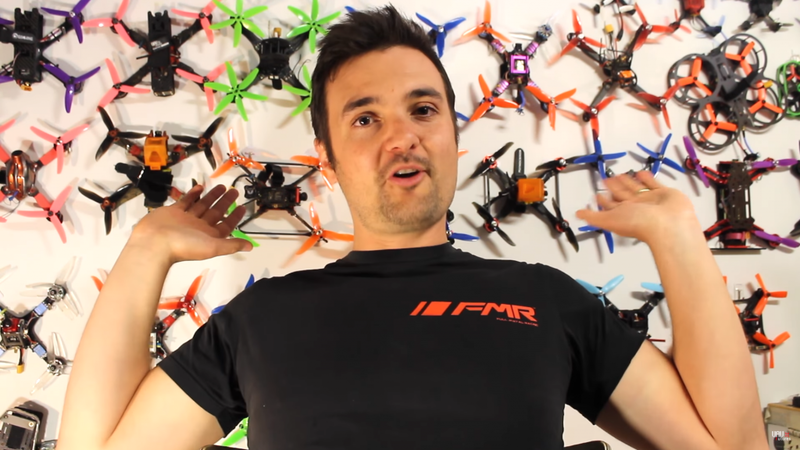 Safety should never be overlooked – even when building your quadcopter. Having a few items on hand can prevent a trip to the emergency room or a call to the fire department. 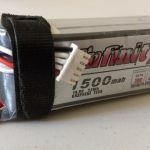 If you are charging LiPo’s at your workbench, you should take some additional safety measures. We love charging at the workbench, but see people doing so haphazardly all too often. Old faithful – make sure you check that she’s operational every once in awhile! Every hobby room should have a fire extinguisher nearby. We are working with electronics and accidents happen. Sparks from shorting equipment, LiPo puffing, and a poorly place soldering iron can all start a fire very quickly. 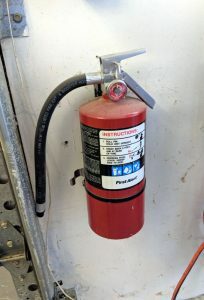 A fire extinguisher should be kept nearby and checked every few months to make sure it is still charged. Chances are you already have one in your garage – make sure you know where it is! Remember though — most fire extinguishers will not put out a LiPo fire. The lithium in the batteries will continue burning regardless of how much flame retardant you spray onto it. Instead, use the extinguisher to control the spread of flames until the battery burns out. Moreover, NEVER use water on a chemical fire. If you want to be extra safe, keep a container of DRY sand next to your workbench that you can pour over an ignited battery. This goes along with the above — every time I’ve experienced a LiPo fire it was slow to come on and was quite obvious what was happening. All it took was for me to be paying attention and to have a quick exit to an area outside with nothing flammable to avert disaster. This doesn’t help much if you live in a high-rise, but for folks in normal houses — try to set-up your work area in a place where you can get outside quickly if needed. Charging at the workbench is great! It lets you work on your quad while being within eyesight of your batteries if anything goes wrong. However, we don’t recommend laying out your batteries at your workstation and charging them in the open. If you are actively charging or storing batteries at your workbench, you definitely want some sort of containment system in place. We’ve discussed these in detail, but some kind of concrete battery bunker, modded ammo box, or Bat-Safe are (in our opinion) a necessity. Here’s my battery bunker – surrounded on all sides by concrete. From filing carbon fiber to inhaling solder smoke, there are a lot of not so friendly chemicals you can inhale while at the bench. If you are working with particularly toxic materials (frame adjustments causing carbon fiber dust is a big one), having good ventilation is a good idea. You can simply do these activities outside, but you can also wear a respirator to protect yourself. Dust masks are also an OK option but honestly — get a respirator. I use mine all the time for both building quadcopters and around-the-home tasks. It was totally worth the $20. Additionally, have some eye protection available if you plan on breaking out the Dremel from time to time. If you are working with fast spinning power tools like Dremels, drills, sanders, etc., take two seconds to put on some eye protection. You don’t even need to buy anything — just put on a pair of old sunglasses. It’s going to be hard to fly FPV if you can’t see! Good lighting goes a long way when working on your quadcopter. Finding those small nicks in wires or bad connections is infinitely easier in a well-lit space. On the low end – you should have a very bright desk light. This is the light I use — although it is admittedly pretty expensive. There are several other options available on Amazon and most big-box stores for price-conscious. Another option that offers a bit more brightness, flexibility and cheaper pricing is clamp work lights. If you have some extra space in your home-improvement budget, you might consider getting larger overhead shop lighting. These are items that may not be necessary, but will definitely streamline your build process. 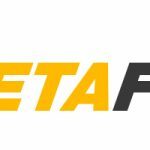 Having a computer at the workbench makes flashing Betaflight and looking up information a breeze. 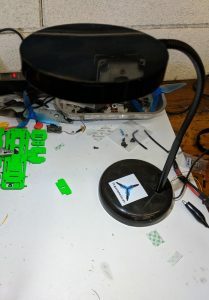 You can re-purpose an old laptop or desktop to get you through 99% of quadcopter software and troubleshooting work right at your desk. Whether you are charging up batteries or running your soldering iron, you are going to need some power! Not having to worry about having power sockets is great! Power strips turn one plug into many. Surge protection is always nice, but one easily overlooked feature is distance between plugs. Many hobby chargers for transmitters, power tools, and more have huge power adapters that monopolize space on your power strip. Look for strips that have space specifically for these adapters or go for strips that have longer spacing between each outlet. Bonus points for strips which you can screw directly into your workbench. If you absolutely need to get sticky, oily, or small grain materials off your hands, a bottle of Gojo can work wonders. The soap and pumice combo will obliterate nearly anything you get on your hands. If you work on other dirty hobby projects: cars, guns, etc. you may have run into this soap before. If not, you will be shocked at how useful this stuff is. Lava soap is great after working with some messier adhesives like super glue, liquid electrical tape, or making frame adjustments (sanding, filing, or dremeling carbon fiber). While it’s absolutely not necessary, it’s second to none for those that can’t stand having grubby hands after working in the garage. Clamp vises like this one can fit pretty much any table. If you have a large workbench, a vise is an amazing investment. If you absolutely need to make sure something stays in place while working on it, you can’t beat a vise. Amazing for making Dremel adjustments, accessing odd angles, and getting leverage to unscrew stubborn hardware. Many manufacturers make smaller vises which adhere to tables with a large basal weight or suction cups. These are not ideal, but can be useful for working on smaller projects. 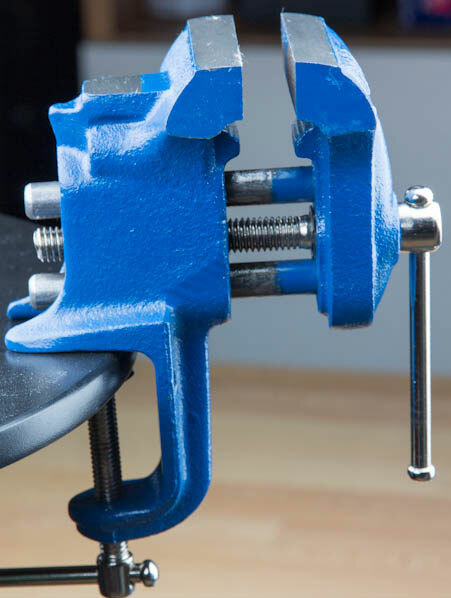 A good in-between option is the clamp vise – which clamps to your table but is removable for when you do not use it. These can be purchased for around $30. This falls in the nice to have category. While not necessary by any means, a 3D printer can be an amazing tool for customizing your quadcopter on the fly. 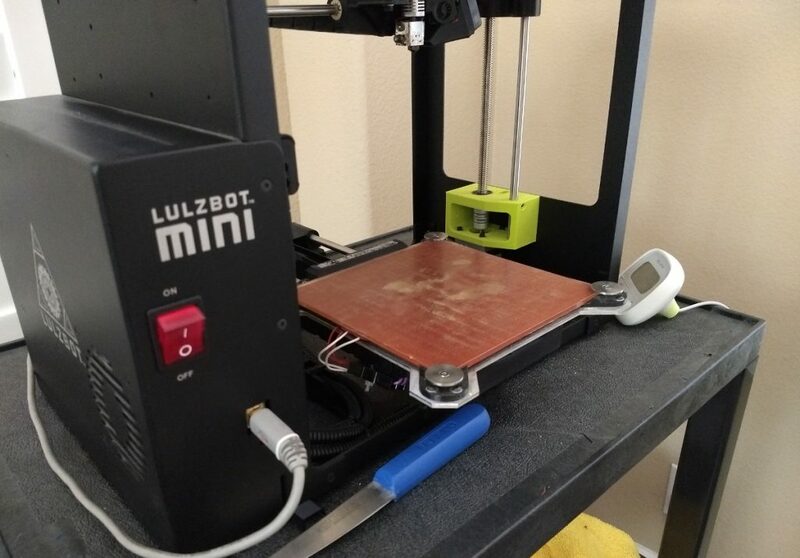 Additionally, having space on your workbench for a printer allows you to monitor print progress and upload and adjust files quickly. Skeptical? 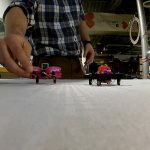 Check out our article on using 3D printing for drones and quadcopters. Anything you think is necessary for the workbench that we missed? Let us know!